Comedian and actor Amy Schumer and husband Chris Fischer are expecting their first child. The actress took to Instagram and made the announcement. 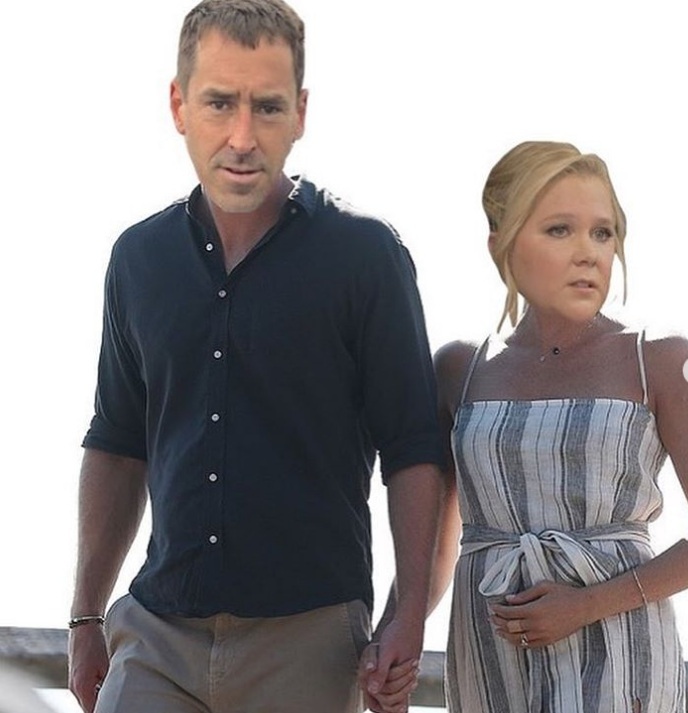 Amy Schumer got married to well-known chef Chris Fischer on February 13th of this year in a beach themed wedding in Malibu. Shortly after the actress shared the news by posting beautiful pictures of the couple from the wedding. Both the couple are quite expected to be parents to their unborn child. Amy Schumer to her Instagram and shared this exciting news by posting a picture of the couple with their faces photoshopped onto the bodies of Prince Harry and Meghan Markle.